Home / 7 most useful websites / most useful websites / most useful websites 2019 / secret websites on the internet / useful websites for students / useful websites game / useful websites in india / useful websites reddit / What Are the 7 Most Useful Websites on the Internet? 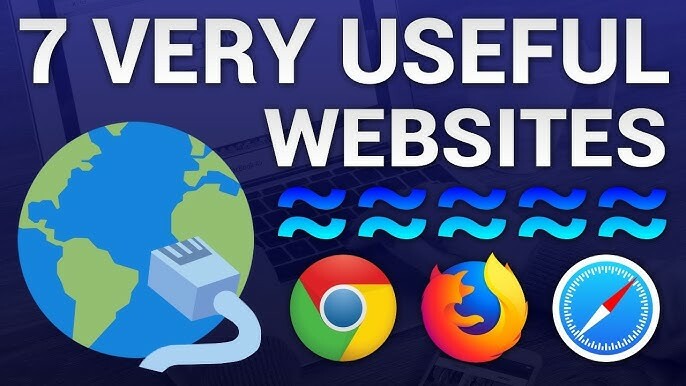 What Are the 7 Most Useful Websites on the Internet? This website helps in sharing personal information with others which may include an ATM PIN or an internet banking password. You can share information simply by sending a text note to any person through email or chat and you can also set the note to be removed once it is scanned by the recipient. Besides, PrivNote.com offers you an option of having the note destroyed after a certain period of time. This website allows you to create rough sketches and then you can watch them transform into lovely drawings. Through this site, it is easier for anyone to draw whatever they like. The website Printfriendly.com makes the printing of webpages from browsers a lot easier. You can use this site and get an adjustable and printable webpage within couple of seconds. For that, all you need to do is to paste the url in the website. This site also provides free extensions for Internet Explorer, Chrome and Firefox. This is the perfect website for watching and broadcasting events live to people on any online platform. So whenever you feel like sharing the live video of any celebration at your home or office to your friends who are on distant locations, this website will prove to be extremely useful. Sync.in is one of the most useful websites that help you collaborate with just anyone and work jointly on an activity or project. By using this site, several people can edit notes as well as documents at the same time. This website helps in finding out if an email sent by you has been opened and read by the recipient. Besides, it also provides you the location, IP address and other details of the receiver. Mailinator.com is extremely helpful for you as almost all websites you visit on the internet ask you to sign-up by using an email address. From Mailinator, you can avail an email address that is automatically destroyed after a couple of hours. By using this email ID, you can activate your account on all websites without worrying about the misuse of your email address.